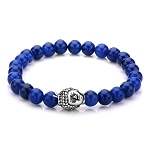 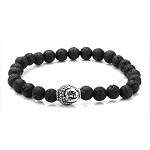 Men's Stainless Steel Skull Charm and Black Lava Beads Bracelet. 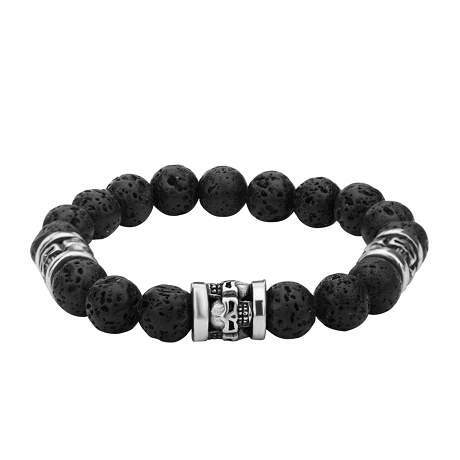 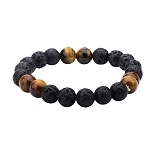 This bracelet makes a statement with it's rustic lava beads with the stainless steel skull spacers is a must have to complete any outfit. 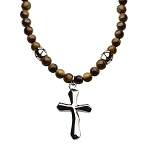 The rocker or biker will thank you for this one!